HMH Books for Young Readers, 9780544104846, 224pp. Maggie Chen's journalist father has fired her imagination with the thrill of the newsroom, and when her father is killed, she is determined to keep his dreams alive by interning at the newspaper. While assisting on her first story, Maggie learns that her father is suspected of illegal activity, and knows she must clear his name. 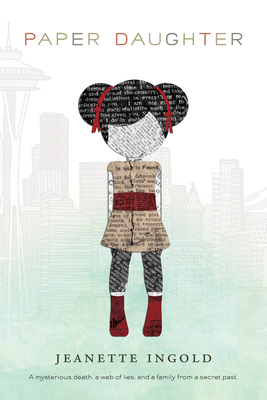 Drawn to Seattle’s Chinatown, she discovers things that are far from what she expected: secrets, lies, and a connection to the Chinese Exclusion Era. Using all of her newspaper instincts and resources, Maggie is forced to confront her ethnicity—and a family she never knew. This edition includes a guide for book group discussions and classroom use.